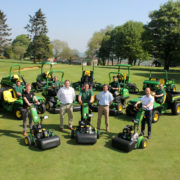 Taddy’s John Deere Partnership: Since the start of the year, Tadmarton Heath Golf Club near Banbury in Oxfordshire has seen investment in a new management team, strategic changes to the course under the eye of course architect Ken Moodie and its first ever course maintenance equipment fleet deal with John Deere and local dealer Farol Ltd. The new machinery has been bought on a five-year John Deere Financial lease deal, including PowerGard maintenance and protection. 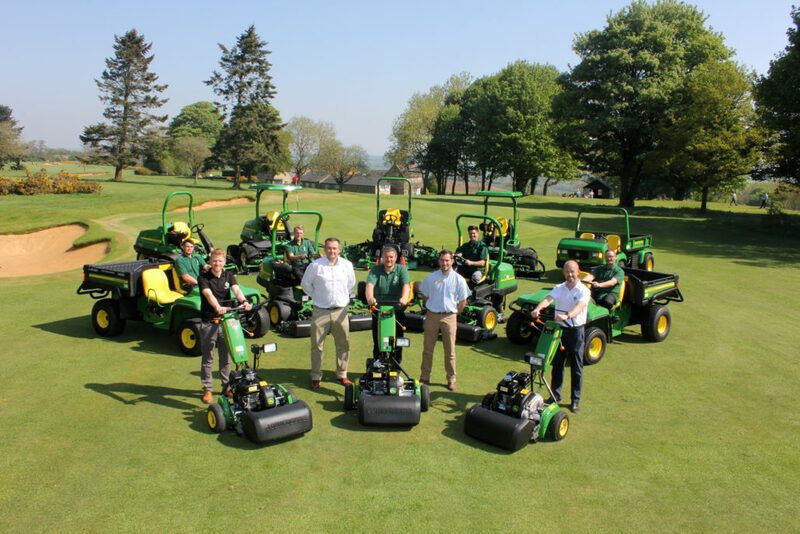 The package features 12 John Deere machines, including 220SL walk-behind and 2500E electric hybrid greens mowers, A Model fairway mowers, a 1600T wide area mower and Gator utility vehicles in addition to a Tru-Turf greens roller, Fleming trailers and a Weidenmann Super 600 three-in-one flail mower, collector and verticutter for the rough. “We wanted to rationalise the existing machinery fleet and deal, which was coming up for renewal,” says John Stubbs. “As part of the tender process we met the Farol team for the first time, including golf & grass director James Moore and area sales manager Mike Wheeler. We were looking for a completely open, honest and transparent deal at the best possible price, and we found that Farol and John Deere were very easy to work with all the way through the process. As it boasts one of the last remaining areas of proper heathland left in the county, the course has undergone a five-year regeneration project as part of the club’s vision to put the traditional heath back into Tadmarton Heath. More recently all the bunkers have been redesigned or rebuilt, and Jim McMurdo has begun a process of improving the greens, reducing the more punitive rough areas and raising the overall standard of the course presentation. “The initial aim has been to make the golf course look a lot more professional and make the greens and rough fairer,” he says. “One of the first jobs was to bring the fairway cutting height down to 13mm, which made a massive improvement straight away – the increased differentiation means golfers now find it easier to see where to play and where to avoid. John Stubbs adds: “The new investment created an amazing wave of interest in the improvements – people regularly come up to me to say how pleased they are with the way things are going, and new members are joining all the time. It was certainly a great confidence boost for us to get the Board’s approval to spend what is admittedly a large sum of money for a private golf club.